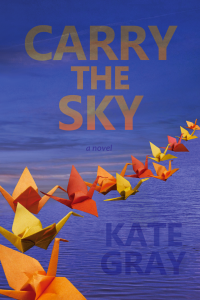 I finished reading Kate Gray's book, "Carry the Sky" a few days ago. I'm still thinking about it. I love a story that leaves me wanting to talk about it with someone else. A story that leaves me with the voices of the narrators. It's a beauty. So thank you Kate and thank you Forest Avenue Press.